For the first time this season a member of the LPGA Tour has defended her title. 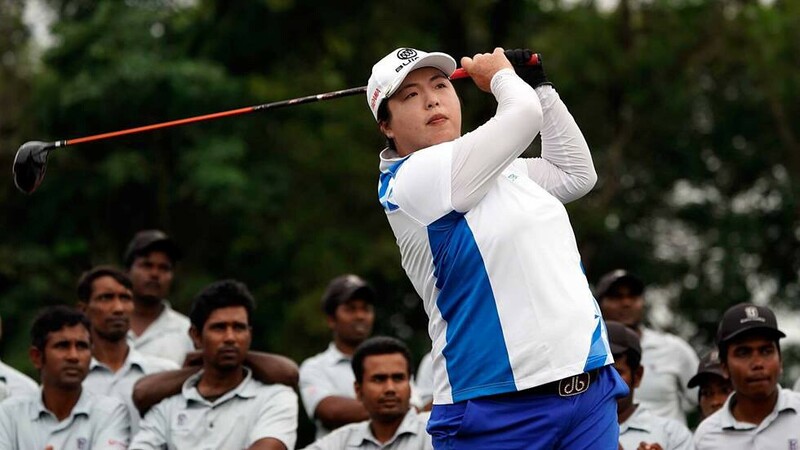 After a 4-under-par 68, Shanshan Feng captured her second straight TOTO Japan Classic. Feng had a rough start Sunday, bogeying two of her first three holes. But, she settled into a groove and was 4-under par through her final 11 holes. It turned into a match-play situation with Japan’s own Ai Suzuki, who as 5-under through her final 10 holes, before making a bogey on the final hole of the tournament. Feng also won the 2016 TOTO Japan Classic, for her sixth LPGA Tour win. The 2017 TOTO Japan Classic victory marks her second win of the season, as she won the LPGA Volvik Championship by one shot in May. “In my heart, I was trying to win this week. And I’ve done it,” she said. Feng also played on the JLPGA Tour where she won six times, and had robust fan support all week long at the Minori Course’s Taiheyo Club. Suzuki had a chance to leapfrog Feng through the back nine, but any time Suzuki made a birdie, it seemed as though Feng would answer with one of her own. She couldn’t capitalize on opportunities late in the round, and the final-hole bogey sealed the win for Feng. After a hole-in-one on the par-3 3rd, Anna Nordqvist fired a 6-under-par 66 to move into solo third. To go along with her two victories in 2017, this marked her sixth top-10 finish of the season. Lizette Salas finished at 13-under par after firing a 4-under-par 68 Sunday. Her fourth-place finish was her fourth top-5 result in her last five weeks. It was her seventh top-10 of the year. Seven golfers finished at 12-under par and tied for fifth, including Moriya Jutanugarn, who notched her fifth top-5 of the year, and Lydia Ko, who recorded her fourth top-5 in her last seven events. World No. 1 So Yeon Ryu said she would be taking next week off in order to rehab her still-injured shoulder as she makes a push for Player of the Year honours.